I don’t know about you, but I have a love/hate relationship with technology. You can do so many, amazing things with software and apps that would never have been possible in the past. For instance, I’m sure Edison would be absolutely amazed where we've gone with recording these days. I use some complex recording software products that offer many options and incredible flexibility. The complexity of some of these software packages can cause them to be incredibly frustrating. That's where mindfulness comes in. I used to have a short fuse when it came to technology. Looking back, I realized I was really angry with myself. I thought I should be able to understand exactly how to use a software tool almost right away. Now I realize it sometimes can be quite a learning curve to get my head around a technology that is new to me. If something isn't working the way I think it should be, I will step back, do some deep breathing, and take a few minutes to clear my brain with some meditation. I believe it's important to identify my areas of strength and spend most of my time doing that. Of course I need to know how to be quick and confident on my phone and the software I use daily on my computer. I often find myself being pulled into using new software. I train myself to stop and say, “do I really need to be using this software right now?” If I can get away without it, I know I need to be moving on and doing the work I love and that I'm good at. Sometimes I practice being more intuitive. Working with technology, I often have a small voice deep in the back of my mind saying something like, “you'll never figure that out”. To counter that voice I use mindfulness. I use a simple mantra like, “I am smart, confident and successful with technology”. Then I meditate using that mantra. 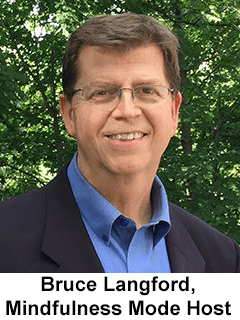 Now I've noticed I feel more confident and more successful in my day-to-day work as a result of my mindfulness practice. This is particularly true in the area of technology. 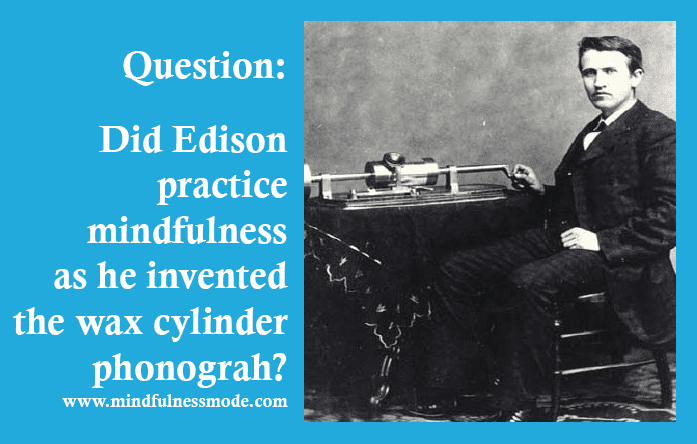 I wonder if Thomas Edison used mindfulness when he spent endless hours trying to figure out how to record sound?